The Winter Equestrian Festival is the largest and longest running horse show in the world, lasting a full 12 weeks. 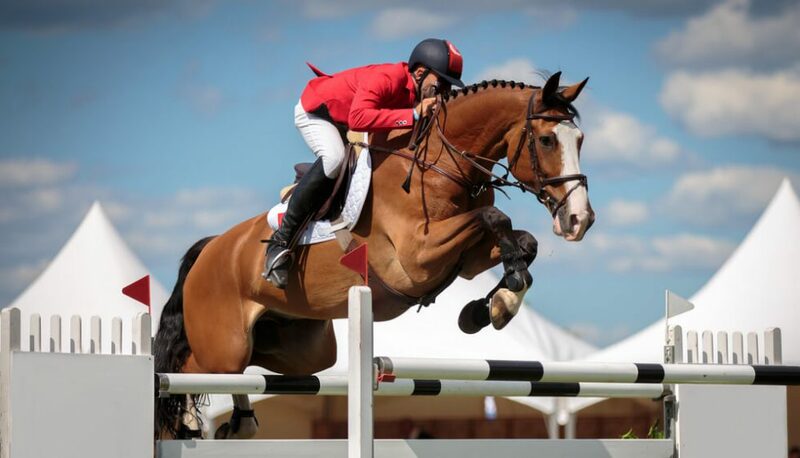 This international equestrian extravaganza includes competitions in both show jumping and dressage, with only the best riders in each class – from children to Olympians – competing. The 140-acre venue also includes shopping, wine and coffee bars, plenty of tasty food and even a children’s play area. With more than 200,000 spectators expected to attend this year’s 12-week-long festival, tourism officials say that, in terms of regional economic impact, the Winter Equestrian Festival is comparable to the Super Bowl. Flying “under-the-radar” as an event that is partially available to Palm Beach County residents free of charge, the festival weekly show jumping events on Saturday nights draw in both county and state residents, as well as out-of-town equine enthusiasts. Read more here about the Winter Equestrian Festival. Arden is proud to be a sponsor of the 2017 Great Charity Challenge, which has distributed over $9.2 million to more than 200 Palm Beach County charities since its founding in 2010. Charities are randomly paired with one of the show-jumping teams and are awarded prize money based on their team’s performance, giving this charity a fun, competitive twist. This event takes place during the Winter Equestrian Festival, so you’re able to fully enjoy all of the festivities while supporting a good cause! The Adequan Global Dressage Festival is one of the world’s largest national and international dressage circuits, fielding the most CDI horse shows in one place in the world. CDI shows represent the highest level of dressage competition, ensuring some of the best rider and horse combinations. The Friday Night Stars events include the Grand Prix Freestyle, where horse and rider “dance” to their own choreographed music. The event also includes access to shopping and an array of food options. Children have the opportunity to explore the grounds and see hundreds of horses up close. It’s a great way to introduce kids to equestrian activities. The International Polo Club in Wellington is considered one of the most prominent and well-equipped polo facilities in the world. This club boasts the largest field of high-goal teams and the most prestigious tournaments in the U.S., and, with all matches being open to the public, it’s a sure-fire way to have an exciting weekend. Seating options range from popular tailgating spots and stadium seating to a field-side Sunday Brunch in The Pavilion.